On Wednesday, September 26, 2018 the history was written. An all-women staffed FDNY engine company served the City of New York for the first time in the department’s 153 year history. The crew is made by Lieutenant Tracy Lewis, Firefighter Martha Brekke, Firefighter Eniola Brown, Firefighter Vanessa Schoening, Firefighter Sarinya Srisakul, and Firefighter Regina Wilson. And its first mission was detailed to Engine 503 on 51st Street and worked as part of ramped up efforts to protect the dignitaries of the United Nations General Assembly on its last day in session. The historical news was shared on Facebook by JoinFDNY page! 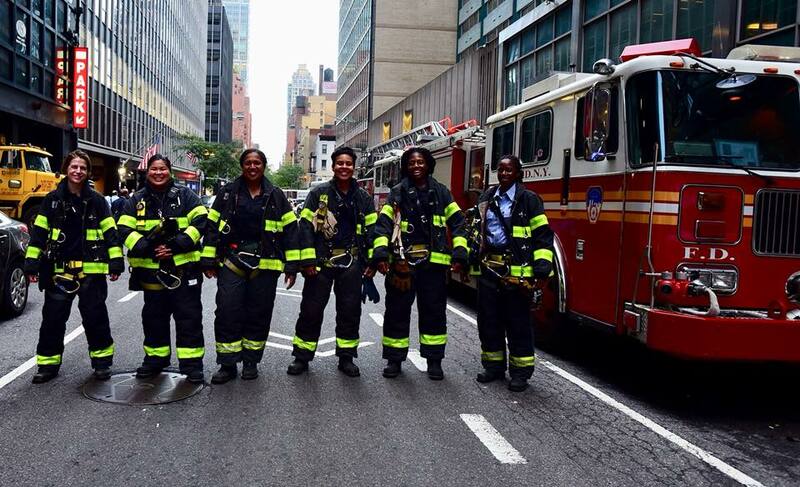 This history-making all-women crew comes on the heels of an overall increase of women firefighters in the FDNY. Since 2013, after a 4.5 year hiring freeze, 46 new women firefighters have been hired, which more than doubled the total number of women on the force to 72. This is the highest number of women ever serving as firefighters and fire officers in the FDNY, and the record keeps getting broken with each new fire academy class. Currently, a large group of women probationary firefighters are slated to graduate next month. Historically, the number of women firefighters in New York City was been as low as 25, out of a force of roughly 10,500-11,000 members. 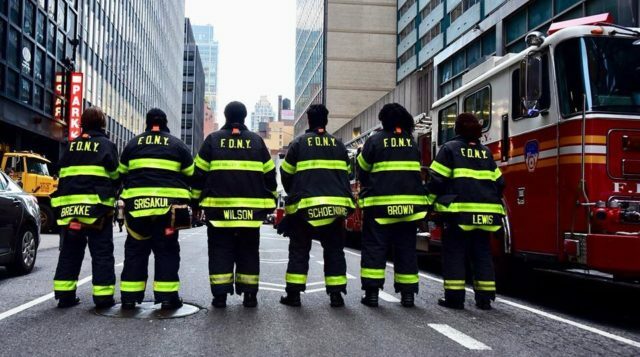 Therefore many decades, New York City held the unfortunate record of having the lowest percentage of women firefighters out of all the major departments in the country. This has only changed recently with the Cleveland Fire Department now lagging behind. Although the women in the FDNY only comprise 0.65% of the force, they are within striking distance of having triple digits of women serving for the first time. The first group of women firefighters were sworn in to the FDNY on September 25, 1982. As their hiring was the result of a contentious lawsuit, they faced hostility and harassment. Now 36 years later, this week’s history-making all-women staffed tour is a great commemoration of that date, and shows how much progress has been made for FDNY firewomen. 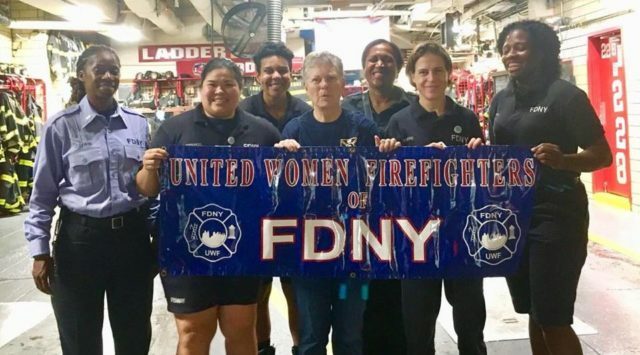 The pioneering Berkman is also the founder, and current Retiree Representative of the United Women Firefighters (UWF), a non-profit run by a small, but dedicated group of FDNY women firefighters and officers who work tirelessly to recruit and mentor young women who want to become firefighters. The UWF conducts a year round training program that helps women candidates pass their physical tests and fire academy. From the roster of Wednesday’s all-women staffed engine company, Firefighter Sarinya Srisakul is the president of the UWF, Firefighter Regina Wilson is the Brooklyn Borough Representative, and Lieutenant Tracy Lewis is the Sergeant-At-Arms.